Last year CHF938 million was invested in Swiss start-ups. I’m confident that this record will be surpassed again this year. 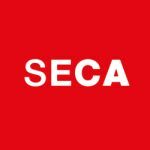 This week we published the Swiss Venture Capital Report 2018, in collaboration with SECA. We were very pleased to see the several hundred visitors at our two launch events in Zurich and Lausanne, and the good press coverage both in German-speaking and French-speaking Switzerland. The magazine can be downloaded in our Assets section. In addition to analysis of the financing rounds, the magazine also contains several background articles; for example, on new venture capital funds and enhanced corporate venturing activities. Another highlight is an interview with Federal Councillor Johann Schneider-Ammann. We are confident that we will be able to announce another record in terms of financing in January 2019, as not only investors, but also the support organisations are in good shape. This week, ESA BIC announced the names of the five start-ups to be included in its incubation programme, each receiving up to CHF200,000. In addition, Pryv will receive an interest-free loan from the Foundation for Technological Innovation (FIT). The Fribourg start-up Go By Yourself is also funded, with coaching from Fri Up and a CHF100,000 interest-free loan from Seed Capital Fribourg. In Basel, the life sciences accelerator Baselaunch announced the names of the start-ups to be included in the second phase of its programme. 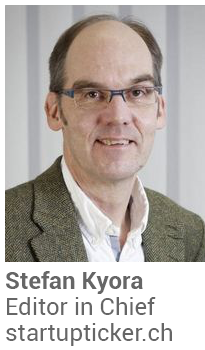 These include the Swiss projects T3 Pharmaceuticals, Anaveon and Polyneuron Pharmaceuticals: all three come from the Basel area, proof of the region’s potential in terms of start-ups. To make better use of this in future, an innovation initiative has been in progress at the University of Basel for almost a year. We talked to the leader Christian Elias Schneider about its aims and the current state of affairs. In addition, Netguardians and Kemiex attracted attention this week. Netguardians is opening a branch in Singapore and co-founder Raffel Maio will move there to lead the 10-man team. And Kemiex, a start-up established by experienced founders, has closed a single-digit million-dollar financing round and is now launching a trading platform for pharmaceutical active ingredients and additives. This year’s edition of >> venture >> competition was also launched, with a launch event in Lausanne next Wednesday. Registration for the competition is open now. In addition, a series of Hackathons and Startup Weekends will take place in the coming weeks. An overview can be found in our Event calendar with an article.